What makes the Finnish educational system one of the best in Europe? Surprisingly enough it is because this tiny Nordic country has an education built on ideologies that promote learning through play, socialising, outdoor activities, thematic approaches, as opposed to subject-based learning, and above all, no or minimal homework. Equality and inclusion are at the foundation of these pedagogies, where all children are assisted in class, not only those with learning difficulties. Compulsory education in Finland does not start before age seven and children are not engaged in formal reading and writing activities before age eight. Assessment is formative, and part of their daily schoolwork. There are no mandated standardised tests, and Finnish students sit for just one formal examination at the end of their senior school years at age 16. In other words, children are encouraged to enjoy their childhood, and to thrive in developmentally and age appropriate ways. This nation boasts of an amazing record of academic success and holds the European highest rate of students who go on to higher education. They must be doing something right. Schooling in Malta is, on the other hand largely based on our culture of competitive achievement, where our children are subjected to the pressures of summative, as opposed to formative assessment as from a very early age. Children in the early years are sometimes pushed to perform developmentally inappropriate tasks such as formal reading and writing. 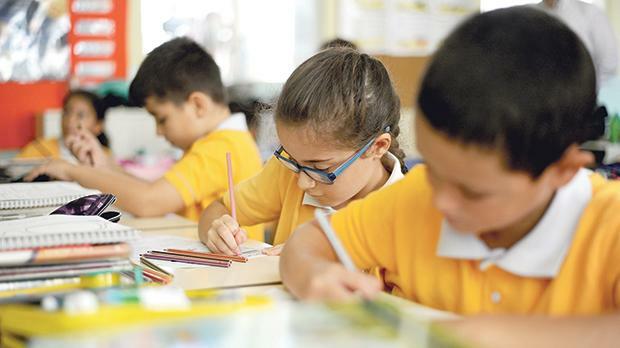 Moreover, half yearly, annual, and the end of primary national benchmark examinations, which most Maltese children sit for, may very well be fuelling an epidemic of exam-related stress. More often than not, our playgrounds and parks are eerily silent, void of the beautiful sound of play and laughter, as many children nowadays are either glued to their tablets, being ferried from one lesson to another, or simply too busy coping with all the homework and studying assigned, to make time for free play. This often leads to children developing high levels of anxiety and even depression, induced by the burden of academic pressures. The educational reforms which are currently being proposed are aiming towards a more holistic view of teaching and learning, where children are encouraged to reach their full potential in enjoyable and meaningful ways. Half-yearly exams will no longer be carried out as from the next scholastic year, and these would eventually make way for ongoing assessment. New policies on homework and inclusion are also being drawn up, and all syllabi are being reviewed in order to make them more relevant, and to enable teachers to maximise their contact hours with students. The fostering of positive attitudes towards education is being stressed upon, as we focus on the child being intrinsically motivated in order to succeed. However, as with all reforms, these are being met with a level of resistance by some parents and educators, as a change in mentality is hard to shift. Maltese parents often judge a school and a teacher according to the amount of homework assigned, and on the results of summative assessments. A system which promotes alternative pedagogies, based on topics and play- based activities, which children enjoy and can relate to, is often viewed as unproductive, and not conducive to learning and achieving academic success. Play helps children to extend their knowledge and to develop their physical, critical thinking, and social skills, together with their language abilities and emotional awareness. Through both free and structured play activities, children have the opportunity to learn about themselves, their peers and the world around them. We need a shift in our exam-oriented educational system, which is fast becoming obsolete. We need to transform our education in order to adapt to an ever-changing globalised market place. Children need to be mentally stimulated, through the fostering of problem solving and creative thinking skills. They need to be encouraged to be innovative and to think outside the box, rather than be fed an array of information which they need to memorise through rote learning, and subsequently regurgitate at the end of every term. Children nowadays can access a plethora of facts and information at the click of a button, therefore memorising material is fast becoming a useless endeavour. The time it takes to study in this manner could be used more constructively to learn how to judiciously sift through the vast amount of information available online, to engage in significant research, in order to dig deeper into topics of interest, and to inquire and pursue answers. Children need to feel free to express themselves and their opinions within a safe, nurturing environment, without being judged. Only this way can they learn to be non-judgemental and to respect authority and their peers. Children need to be engaged in collaborative activities, and to be given the opportunity to debate and to discuss, in order to learn the skills of effective communication. They need to be taught physical and social skills in an era where these are fast being lost to a world dominated by virtual reality and social media, as the large part of human communication is nowadays done from behind a screen. Children need to be exposed to the beauty of music, poetry, books, drama, art and sports on a daily basis, in order to nurture their souls, to strengthen their bodies and to inspire and stimulate their ever inquisitive minds. Children need to be taught compassion, justice and perseverance, and that sometimes it is okay to fail and to make mistakes, as long as one can learn something from failure and blunders along the way. Children need to be taught the art of patience in a world of instant gratification. They need to learn how to be grateful and appreciative, rather than grow up with a misguided sense of entitlement. They need to be given the opportunity to succeed in their own unique, diverse and beautiful ways, rather than be pigeon holed and discouraged, due to the pressures of standardised testing. Children need to be engaged in active, as opposed to passive learning, where they are given the opportunity and the responsibility to accountably self-direct their own education, focusing on their individual interests and values. Above all, children need space to play, to imagine, and to enjoy the world around them, with the awe and wonder that only a child can possess. Are we truly witnessing the start of important educational changes? Let us hope that these proposals will not be another case of plus ça change, plus c’est la même chose. May policymakers, stakeholders, parents, carers and educators all work together towards giving our children back their childhood, in order to create a better future for them. May this paradigm shift in education materialise, in order to bring about the necessary changes which would ensure inclusion, equality and success for all our young learners. Michelle Panzavecchia is an educator and a University of Malta visiting lecturer with the Faculty of Education and the Faculty of Health Sciences.